Temporomandibular disorder (TMD) is a phrase that refers to a group of painful disorders affecting the jaw and the muscles that control chewing. The temporo-mandibular joint connects the lower jaw, called the mandible, to the temporal bone at the side of your head. The discomfort may be occasional and temporary, often occurring in cycles, and may eventually stop with no treatment. Some people will develop long-term symptoms. The disorder affects men only half as often as it does women. Concerns shock-absorbing disk in the jaw. TMD can also be caused by degenerative joint disease, such as arthritis in the jaw joint. A person may have more than one form of TMD at the same time. TMD can produce a range of symptoms, most commonly pain in or around the jaw joint. Other symptoms include limited movement or locking of the jaw; pain that radiates to the face, neck, or shoulders; a painful clicking, popping, or grating sound in the jaw joint when the mouth is opened; and a sudden change in the way the upper and lower teeth fit together. Headaches, earaches, hearing problems, and dizziness also may sometimes be linked to TMD. Severe injury to the jaw or temporomandibular joint is a leading cause of TMD. A heavy blow to the jaw can fracture the bones of the joint or damage the disk of the jaw, interfering with the normal movement of the jaw and causing the jaw to lock or be painful. An injury also can lead to arthritis in the jaw joint. Some doctors think that stress can cause or aggravate TMD, especially when the affected person clenches or grinds his or her teeth at night. No evidence exists that gum chewing, an overbite or underbite of the teeth, or orthodontics such as braces directly cause TMD. Many people experience clicking of the jaw, but if no pain or locking is present, they probably do not need treatment. There is currently no widely accepted test that correctly diagnoses TMD. Most doctors arrive at a diagnosis based on the person's description of his or her symptoms and a physical examination of the face and jaw. During the physical examination, the doctor will feel the joints to detect any pain or tenderness, listen for any popping or clicking of the joint, and check for limited motion or locking of the jaw joint. The doctor will review the person's medical and dental history to pinpoint any past conditions that could have produced the current symptoms. 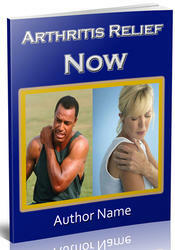 If the doctor thinks that arthritis may be causing TMD, he or she may order X rays. TMD. Surgery to replace the jaw joints with artificial implants is necessary in only a small percentage of affected people.